Welcome to Glasses Gallery ("the site"). We are a leading online retail store and information Site for eyeglasses, sunglasses, sports glasses with or without prescription lenses services. It is our wish that any visit in our Site and the experience of any purchase through our Site will be pleasurable as possible. 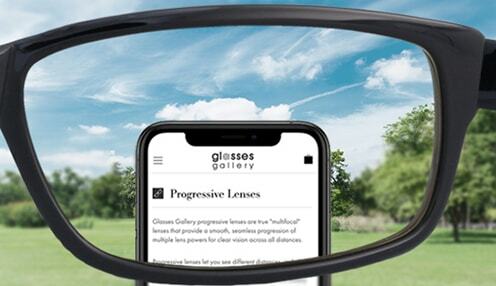 By accessing our Site , you expressly acknowledge and agree that you are entering into a legal agreement with glassesgallery.com and have understood and agree to comply with, and be legally bound by, these General Terms and Conditions of Use (or these Terms and Conditions). You hereby waive any applicable rights to require an original (non-electronic) signature or delivery or retention of non-electronic records, to the extent not prohibited under applicable law. If you do not agree to be bound by these Terms and Conditions please do not access our Sites or make any purchases through our Sites. We reserve the right, at our discretion, to modify these Terms and Conditions at any time and from time to time. Such change will be effective upon posting of the revised Terms and Conditions on the Site, and your continued access or use of the Site thereafter means your acceptance of any changes to these Terms and Conditions. Our Sites are not structured to attract children under the age of 13 years. If you are under 13 years please do not visit or use the Site. If you are between 13 and 18 years of age, then you must review these Terms and Conditions with your parent or guardian before visiting or using our Sites to make sure that you and your parent or guardian understand these Terms and Conditions and agree to them. Glasses Gallery holds strong a vision to safeguard every individual living every day to the fullest with the perfect eyesight professionally enhanced by our products. We are proud to be the ultimate online eyewear destination. Our lenses are all of great functionality, are professionally enhanced using solely premium materials, and finely polished with high-tech finishes with the aim to best take care of your optical needs. 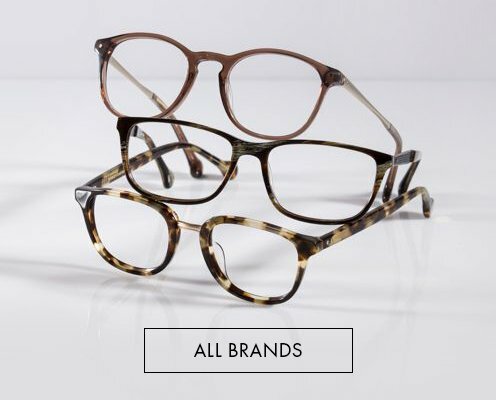 Other than high performance lenses, We offer a large selection of designer brands and private label frames including Anson Benson, Below the Fringe, Modential. We also feature international eyewear brands including Ray Ban, Oakley, Tom Ford, Muai Jim, Lindberg, Cazal, Celvin Klein, Carrera, Effector, Emporio Armani, Georgio Armani, l.a Eyeworks, Porche Design, Prada, and Miu Miu. We are the destination to go whenever you look for frames and lenses of supreme functionality not only for yourself but for any of your family members, whether they are aging parents or young children. We offer prescription glasses, sunglasses and sports glasses for both genders at any age; we carry different sports eyewear packages custom-made for the sports devotees like golfers, runners, skiers, shooters, cyclists, tennis players, and the outdoor enthusiasts; our brands provide all customers with clear and acute vision yet come in super lightweight to create comfort, and give parents total flexibility to bring home the best care for their children. Glasses Gallery ("we" and "us") is on a mission to deliver the best possible shopping experience, one that is worth the customer's time, money and effort. We are also committed to bringing "you" (any person acting on Glasses Gallery with the intention of purchasing from Glasses Gallery) an experience that is pleasant and enjoyable. Our commitment has therefore driven us to take the opportunity to inform you of the following General Terms and Conditions so that you are aware of our policies. Any conduct by you that in our sole discretion restricts or inhibits any other users from using or enjoying Glasses Gallery will not be permitted. You agree to use Glasses Gallery only for lawful purposes. You agree not to post or transmit to Glasses Gallery any material which is unlawful, harmful, threatening, abusive, harassing, defamatory, vulgar, obscene, offensive, indecent, sexually explicit, profane, hateful, fraudulent, racially, ethnically, or otherwise objectionable of any kind, including but not limited to any material that encourages conduct that would constitute a criminal offense, give rise to civil liability, or otherwise prohibited by any applicable local, state, national, or international law of any relevant country in the world. You agree not to reproduce, duplicate, copy, sell, resell or exploit for any commercial purposes, any portion of Glasses Gallery, use of Glasses Gallery, or access Glasses Gallery unless you first obtain our express written consent to do so. You agree not to provide any material to any third party without express written consent of Glasses Gallery. You agree not to access Glasses Gallery by any means other than through the interface that is provided by us for use in accessing Glasses Gallery. You agree to not attempt to "hack" Glasses Gallery or any other websites you do not own. This includes but not limited to, trying to guess users passwords, "phishing", accessing "hidden" URLs, attempting to trigger remote code for the purpose of accessing data or material you would not otherwise have access to. You agree Glasses Gallery owes no royalty or license fee to you or any third party for use of material which is posted or transmitted to Glasses Gallery. Glasses Gallery reserves the right to remove or edit content of such material, and is free to copy or use such material for both commercial or non-commercial purposes. You hereby certify that you have a valid prescription for the eyeglasses that you are ordering. You warrant that your prescription is used in accordance with the guidance of your eye care provider and by placing an order with Glasses Gallery that the information you entered is valid, true, and correct. You further certify that your prescription has not expired and you will renew your prescription in strict accordance with your eye care providers suggested regime. You understand that Glasses Gallery will not fulfill your order unless you have a valid prescription. You hereby agree that Glasses Gallery and/or its representatives may contact your eye care provider identified on the prescription, with questions, comments or concerns regarding your prescription. Glasses Gallery and/or its representatives may also request your eye care practitioner to provide Glasses Gallery with a copy of your original prescription, if necessary, to verify your prescription information and/or discuss your prescription. We have made every effort to describe and display as accurately as possible the colors, the designs and the material used for production of products being featured at glassesgallery.com. However, the images are a representation only, the actual colors and the clarity of the photos of our products you see may differ to the represented images; it will depend on your monitor and we cannot guarantee that your monitors' display of any color will be accurate. We also cannot guarantee that the images of the products featured at Glasses Gallery have depicted every detail of the products. We have attempted to be as accurate as possible. However, we do not warrant that the product descriptions are accurate, complete, reliable, current, or error-free. If a product offered by Glasses Gallery is not as described, you may return it in unused condition with full contents to Glasses Gallery. We ensure that our lenses are crafted to the exact specifications provided by you. The lens thickness is determined by your prescription power. Typically, the higher the index, the thinner the lenses are. If your prescription is outside of the -4.00 to +4.00 range, we recommend using lenses with at least 1.6 index value for an additional $30. You are also able to select 1.67 index lenses for an additional $60, or 1.74 index lenses for an additional $100. Glasses Gallery reserves the discretion in deciding the index value for each order (including those purchased during a promotion), and should an upgrade is deemed necessary, a customer service representative will contact you. 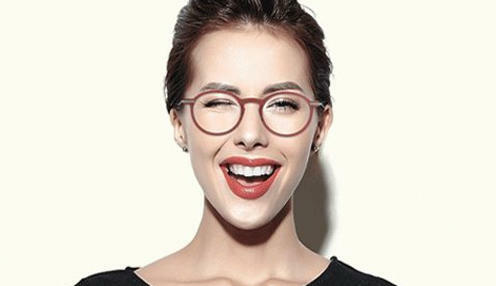 Because we are confident in our products, we offer a 100% cash refund for frames, and a 100% store credit guarantee on all frames and lens products. If you are not completely satisfied with your eyeglasses within the first 14 days after delivery, you are entitled to a refund, store credit or a product exchange of equal value. We guarantee a 100% store credit refund which allows you to purchase any frame and lenses from our store. A Glasses Gallery account is required. Store credit is valid for 90 days from issue, and may only be used towards a single transaction. Any unused credit from either the transaction or within the 90-day period is deemed forfeit. We offer 100% cash refund for all frame-only purchases. If you purchased a frame with prescription lenses, a lens servicing fee will also be charged for all purchases with prescription lenses. Len servicing fee schedule is as follows. We are happy to exchange a pair of glasses of the same value with the 14-day period. Should you wish to exchange for a pair of glasses that at a higher value, the difference must be settled before shipment. Courier costs will not be refunded. Please send the product back to us with your preferred courier (Glasses Gallery is not responsible for any return shipping). The returned product must meet the following criteria. All accessories such as case and cleaning cloth must also be returned. To begin the return process, simply log into your account, and head to “my returns” section, or contact our representatives at cso@glassesgallery.com. All return requests must be submitted within 14 days of delivery. Money back or store credit guarantee does not include the cost of shipping that is not standard. Each item may only be returned or exchanged once. Customers are responsible for return shipping back to our office. Please allow up to 30 days from when we receive the return for your money to be refunded. For exchanges, return shipping from our office to your door will be sent via standard shipping at no extra cost to you. Only valid for countries where standard shipping is applicable. If standard shipping is not available to your country, you may be required to pay an additional shipping fee. Please see our “shipment” page for a full list of countries. Most manufacturers offer a 1-year warranty that covers manufacturing defects which typically includes defective hinges and welding points, frame discoloration, and missing parts. Please contact us with a picture of the problem should you require warranty services. This warranty does not cover the following cases. Please note it is the customer's responsibility to return the glasses and provide us with the return shipping tracking information. Furthermore, a picture of the damage to the item is required for the warranty claims. A member of our customer support team will respond upon receipt of your exchange or return request, and follow up the process with confirmation of acceptance or denial. You are required to provide us with a tracking number for your returned item(s). Products returned for exchanges or returns must be undamaged and unused (with Glasses Gallery tag attached to the frames) and in the resalable packaging provided with them (no open packages). Exchanges and returns will only be processed once the returned item is received at our facilities. Cost of shipping for your purchases, as well as duties and sales taxes are non-refundable. In the event where your return request has been denied, you will be responsible for the shipping cost to have your returned package sent back to the shipping address you provided. We may refuse to accept future orders from those who have made previous unsubstantiated claims for non-delivery of goods. At Glasses Gallery, we offer Shipping to the United States, Europe, Asia, and Africa with the exceptions of Canada, Australia, and New Zealand. Glasses Gallery offers standard shipping option with an estimated delivery time of 14 to 21 business days. Our standard shipping is a traceable courier service provided by your local postal administration. It does not require signature upon delivery, and by using our standard shipping service, you accept that the successful delivery is defined by the status provided by your local postal administration via its tracking services indicated on its website. Should you require a more secure delivery service, please select Express Shipping which features a signature upon delivery service. Shipping time does not include production time (Table 1), which varies according to the type of lenses you order for your glasses. Shipping charges are listed in Table 2. Customers with US destinations are eligible for free Express Shipping for orders over $200 (excluding tax). All other customers are eligible for free Standard Shipping for orders over $200 (excluding tax). Please note that during and near holiday seasons, shipping and production time may take longer than usual due to higher volume of traffic. Order(s) will be delivered to the address specified on the order form only after payment is fully received and production of lenses is completed. Order(s) will be shipped using your choice of shipping arrangement (please refer to Table 2 for the estimated shipping time). Any duties and taxes are the responsibility of the customer. You may be charged duties and taxes when the order has arrived in your country. The courier will contact the recipient to collect duties and taxes before releasing the shipment. You may be requested to provide your Tax ID to clear customs. In that case, the information you provided is solely between you and your country's Customs and Border Protection. Glasses Gallery will NOT receive any of your TAX ID or related information. 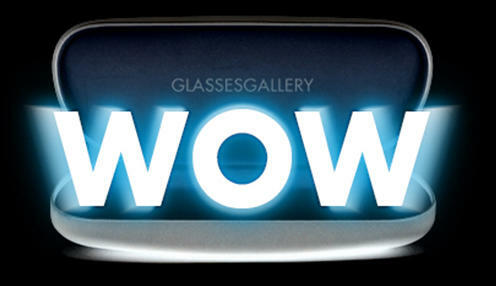 Once the order is shipped from Glasses Gallery, it is no longer the responsibility of Glasses Gallery. Once the order is shipped from Glasses Gallery, even you contact us within 24 hours in order to make changes to your order, whether it be the prescription or delivery address, or to cancel your order, it is no longer possible. Delays caused by courier companies will be handled in a timely manner but is not the responsibility of Glasses Gallery. Order production may be delayed when insufficient / inaccurate information is provided by the customer. We ensure that the lenses ordered via Glasses Gallery adhere to the highest ISO9001 standard quality. Under rare situations whereby our production is delayed, the customer will be notified with an estimated shipping time. The estimated shipping time is provided by the shipping couriers. If you have any enquiries regarding the estimated time, please do not hesitate to contact the courier directly. Please be aware that shipping time may be affected by different factors such as weather, custom clearance, peak season delays and transportation. It is not our responsibility and you will need to contact the respective courier on your own to find out the shipping status. 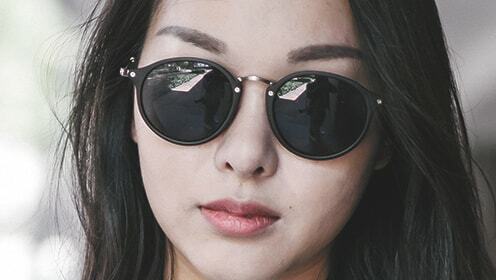 If you find a lower price offered by another authorized retailer compared to your payment amount for an identical frame of equal lens quality, we will match that price. To receive the Price Match Guarantee, please follow the following steps. Contact our customer service within 3 calendar days of your purchase. The frame in question must have been purchased from us. Provide our customer service with a link to the authorized retailer’s webpage offering the exact same frame at a lower price. The frame must currently be in stock on the competitor’s website offering the lower price and the price must be the current price at the competitor's website. Please also note the following major exclusions of the Price Match Guarantee. Promotion codes and other discounts cannot be used in conjunction with the Price Match Guarantee. Product NOT of the exact same brand, color, size, and style sold by an authorized U.S. dealer are not qualified. Amazon.com, Ebay.com, and other auction sites are not considered authorized dealers. Product sold as a frame and lens bundle are not applicable for this Guarantee. For products with prescription lenses, the qualifying lens must have the same qualities, features, coating, and thickness. This Guarantee is only applicable to the competitor’s retail price. Products sold at a discount due to promotions, rebates, clearances, and coupons are not eligible. Products sold at wholesale prices are also not valid for this Guarantee. Product must not be open-box, refurbished, or out-of-stock. This Guarantee does not apply to misprinted or falsely advertised prices. FOR CALIFORNIA RESIDENTS, PROPOSITION 65 WARNING: Polycarbonate Product Contains a Chemical Known to the State of California to Cause Birth Defects or other Reproductive Harm. Glasses Gallery and other graphics, logos, and service names used on Glasses Gallery are the trademarks of Glasses Gallery. All other brands and names (including third-party product names) are the property of their respective owners. 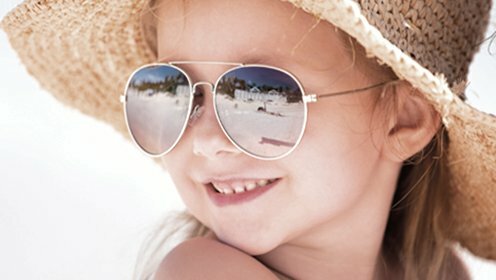 When you visit Glasses Gallery, create an account with us, or send e-mails to us, you are communicating with us electronically. You consent to us sending you e-mails. You agree that all agreements, notices, disclosures and other communications we provide to you electronically satisfy any legal requirement that such communications be in writing. If you wish to receive our newsletter we will use your name and e-mail address provided to send it to you. You may choose to opt-out of receiving our newsletter any time by simply clicking the unsubscribe button located on the bottom of our e-mail. Outbound links from Glasses Gallery are provided for your convenience. Glasses Gallery has not reviewed the websites in great detail; the websites are not under the control of Glasses Gallery. You agree to access these links at your own risk. In no event shall Glasses Gallery, its officers, directors, employees, agents, affiliates, licensors, suppliers, or contractors, be responsible for the contents of any linked website or any link contained in a linked website or for any changes or updates to such websites. Inclusion of a link is for your convenience only and does not imply any endorsement by Glasses Gallery. You are responsible to comply with the terms and conditions of use of any linked website.